Congratulations to all 17 Members for making it a 100% Club commitment as Contributing Members of LCIF for 2010-2011. Your Pin will be presented to you accordingly. Bravo PJ Mutiara!! Getting enough blood supply during festivals and school or college holidays are especially challenging because donors are often away on holiday or celebrating with their families back in their hometowns, and organizers are less inclined to hold blood donation drives during those times. 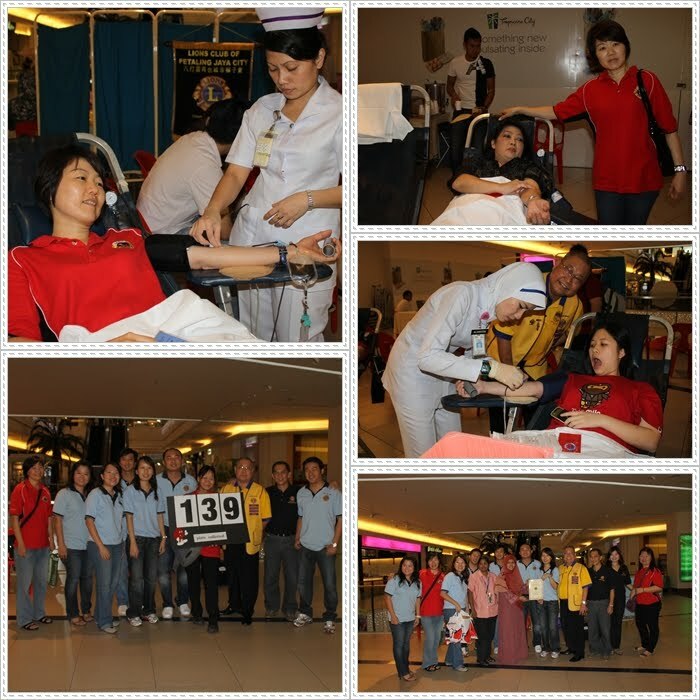 So Zone 17 Lions Clubs comprising Lions Club PJ, PJ Metro, PJ Mutiara & PJ City decided to perform their fair bit to maintain a consistent blood supply for the National Blood Bank at Tropicana Mall, PJ on 14 Nov 2010. The first benefit one gets from donating blood is the joy from performing an altruistic act, which is difficult to explain physiologically because it is more psychological and emotional - basically, you would feel good. 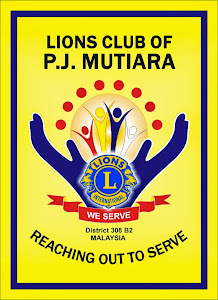 Thanks to Lion Poh Ling being our sole able donor from the Club. The event was made possible by Newage Sdn Bhd for donating 200 each of Cuticura Orange Sanitizers, Freeman Guava Scrub, Freeman White Grape Body Lotion & Freeman Hand Firming Lotion and 200 bottles Oxygen water from 02 Plus Sdn Bhd.